To render services to the global needs of engineering industries by educating students to become professionally sound mechanical engineers of high caliber. At DCE, we ensure that our Mechanical Engineering students get a strong foothold in the basics while forging ahead into more complex areas of mechanics. Our laboratory is well-stocked and students get a real-time grasp of theoretical concepts with livewire projects. Our Mechanical Engineers are lapped up by top companies during campus recruitments each year. 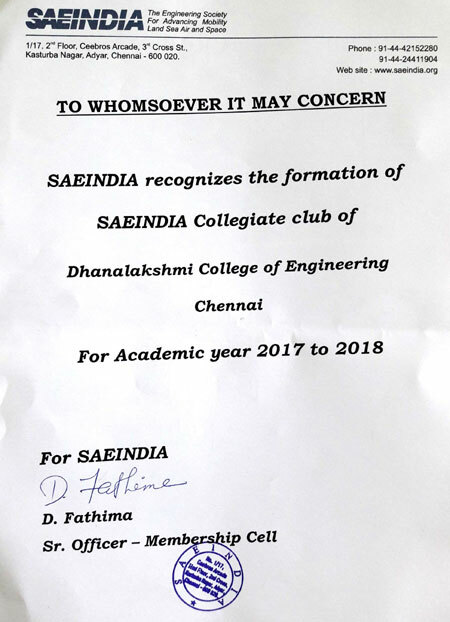 from the academic year 2017 -2018. AP/Mech. will act as Additional Faculty Advisor. 3 Mr. Arularasu S M.E., (Ph.D.) Asso. Prof.
4 Dr selvaraj M.E., Ph.D. Asso. Prof.
5 Mr. Hariharan V M.E. Asso. Prof.
6 Dr. Ansari AKS M.E., Ph.D. Asso. Prof.
7 Dr. Easwaran KK M.E. Asso. Prof.
8 Mr. Kannan M.E. Asso. Prof.